Other palak related recipes on the blog are palak sabzi, palak dal, palak roti, aloo palak, palak paneer recipe that can be tried and eaten along with soft chapati or jowar roti or phulka. I would like to suggest these palak pakora snack as an iftar recipe during the month of ramadan and they are perfect iftar snacks as they taste good to our tongue after fasting the whole day…. 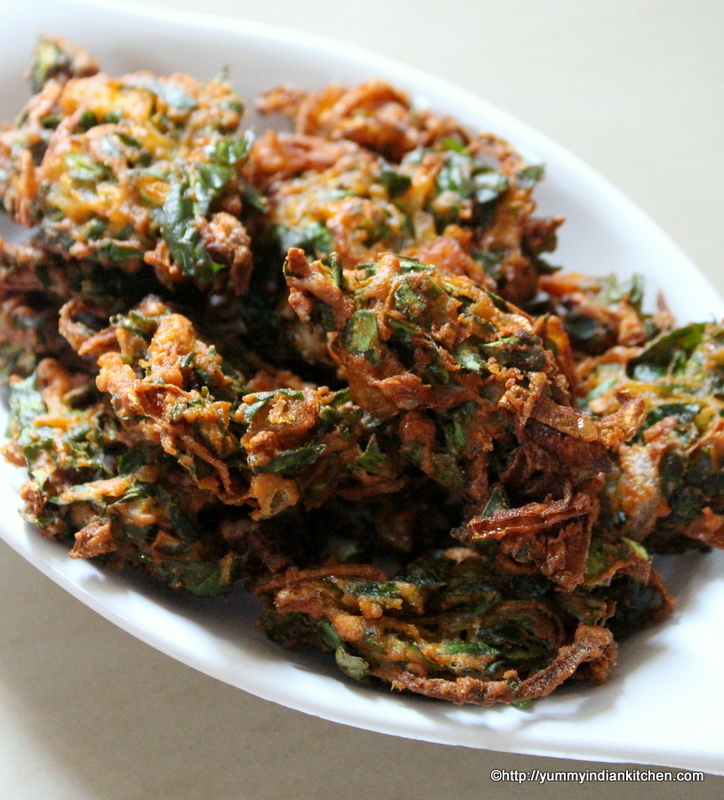 I also try to make many appetizers during Ramadan which serve best as iftar snacks and these are one among them… In hyderabad palak ke pakodey are quite popular and a commonly made snack food during cold weather or during iftar. Adding cooking soda to the batter makes it soft from from inside. In a bowl, add finely chopped spinach, add finely sliced onion, chick pea flour and rice flour, add salt, red chilli powder, turmeric powder, coriander seeds powder, carom seeds/ajwain, add oil and mix all the ingredients well. 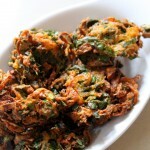 A quick, simple and tasty palak pakora perfect with a hot cup of tea during winters or rainy. Wash finely chopped spinach and add into the bowl. 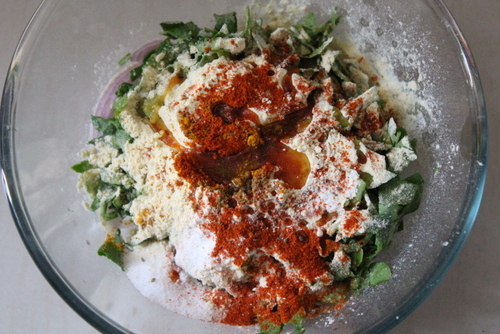 Add salt, red chilli powder, turmeric powder, coriander seeds powder, carom seeds. Washed spinach already leaves its water and therefore, batter can be mixed easily. 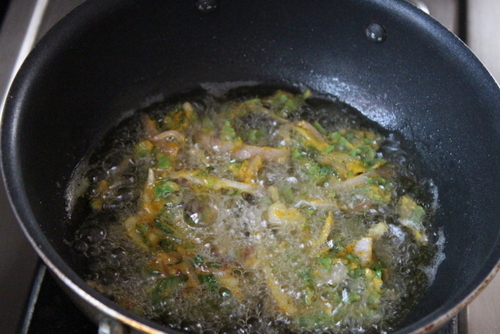 Deep fry the palak pakodas on low flame until they turn golden color on all sides. Serve hot with chutney dips or ketchup. 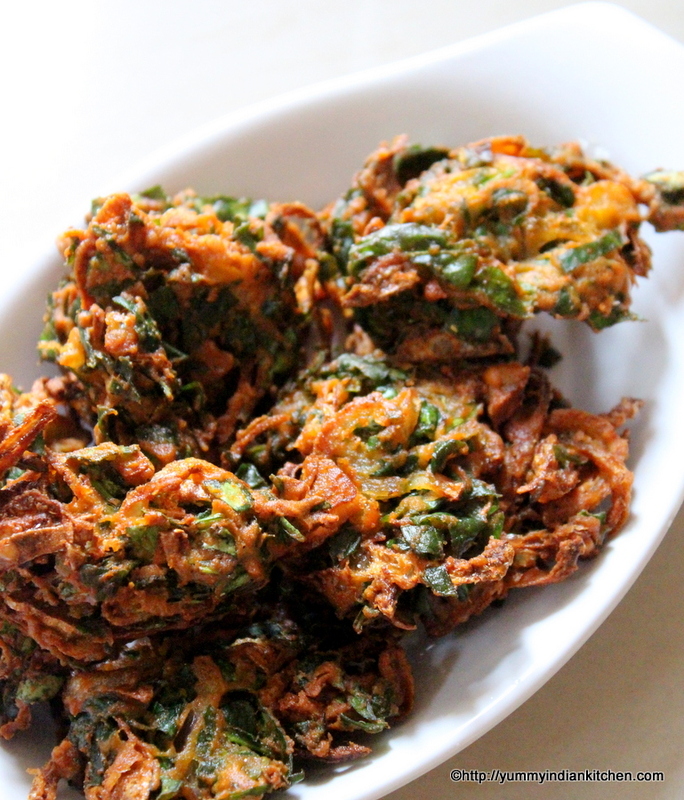 1.Here, to enhance the taste of palak pakora I have used onions but if one doesn't prefer to add onions then skip the onion and add in 1 or 2 more spinach bunches which are finely chopped. 3.Frying on low flame cooks the pakodas well from inside and tastes well. 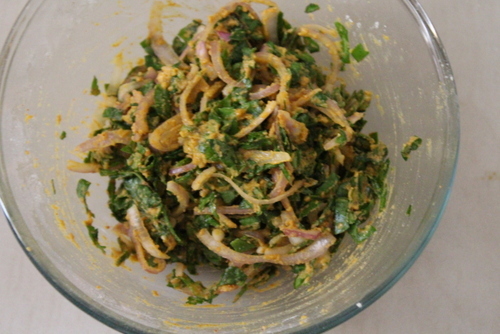 5.We can also add some freshly chopped coriander leaves too. 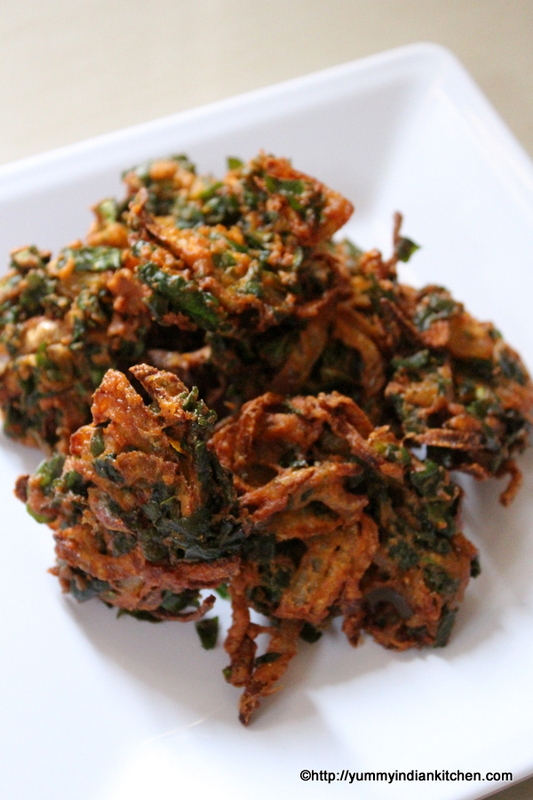 I love very much the palak pakode……..and when it rains, so I always makes…..Thank for this information….i want to say my wife about your blog because she can not make palak pakode.